*Even if your child doesn’t have autism I encourage you to keep reading if you would like ways to reach your child in a deeper way. 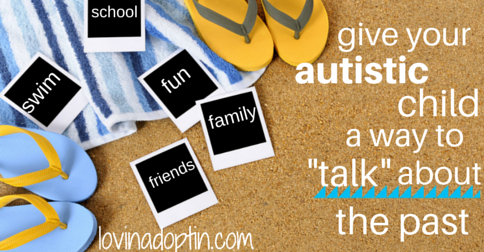 Occasionally we are given gems of knowledge that I love to pass on to those who are raising children with autism. One such gem came from Michael Emmons*, who works with our kid’s school on including special needs children in the general classroom. At the time, I saw this as a novel idea, but since then it has grown into something more than I expected. It shouldn’t have been such a cutting edge concept for me, I mean it seems so simple when you really think about it. Give children who can’t communicate a way to ‘talk’ about the past, but it was something I hadn’t thought of. I was simply thinking present and future tense and that’s where it ended. Very unfair to Jeremiah. Typical kids (meaning kids who can communicate, whether verbally, through sign language, or an augmented communication system) get to talk about the past and relate it to the present and future all the time. I like to put it in perspective with examples so we can really grasp how it is for our children who can’t communicate, or who can’t communicate well. Their grandparents last visit and what they want to do next time. The scar they got when they fell off their bike. They want to visit their cousins again. They want to go to Disney Land. How the hill you drive over every day reminds them of the ride at Disney Land. What they do during school. Who their best friends are. I could go on and on, as always, but you get the idea. There’s obviously so much to talk about, and our children can’t or have difficulty doing so. Jeremiah’s smile stretched across his face when I said this, and I felt like Emmons had helped us delve even deeper into Jeremiah’s world. We were able to go sledding a couple weeks ago. Afterwards, Jeremiah was looking through the photo book again and paused at the one of him sledding. I talked about how he had fun sledding, and he grinned from ear to ear, that “Yeah, I know what you mean,” look. In the past weeks, Justin and I had also been working on getting swim lessons on the schedule. When Jeremiah looked at the photo of him swimming with his Grandpa, I was finally able to tell him we were going to go to swim lessons. He smiled when I told him the first time, but when I was able to say, “We’re going swimming tonight. We have swim lessons tonight,” oh my gosh! He was jumping. clapping, and thrilled! I love it! It just wrecks me when people don’t think those with autism can understand, that they don’t have feelings.This false belief is so far from the truth. Our children deserve so much more, for us to realize they have desires like every other child. 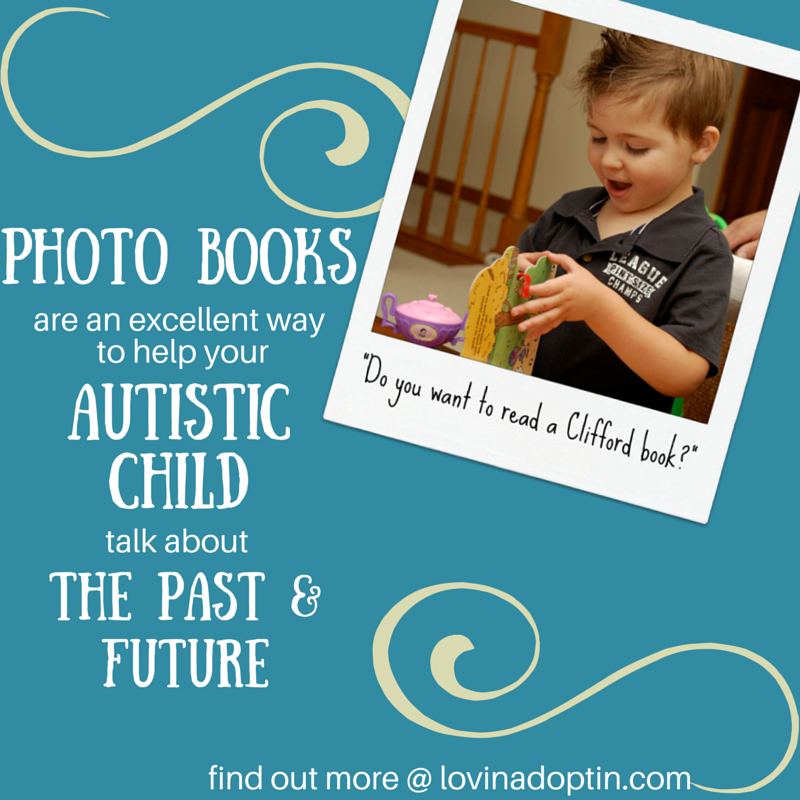 As Emmons pointed out to us, photo books are a great way to engage in conversation with your autistic child. You can do something as simple as putting pictures in slip-pocket photo books, or you can make photo books at WalMart.com or picaboo.com. Adding words to describe what’s happening can help your child develop language, as it associates what’s happening in the photo with words. I really hope this helps you in your adventures in autism, I can’t tell you what an exceptional jewel this is. It has the possibility of unlocking a treasure trove in your child, making those connections is priceless. 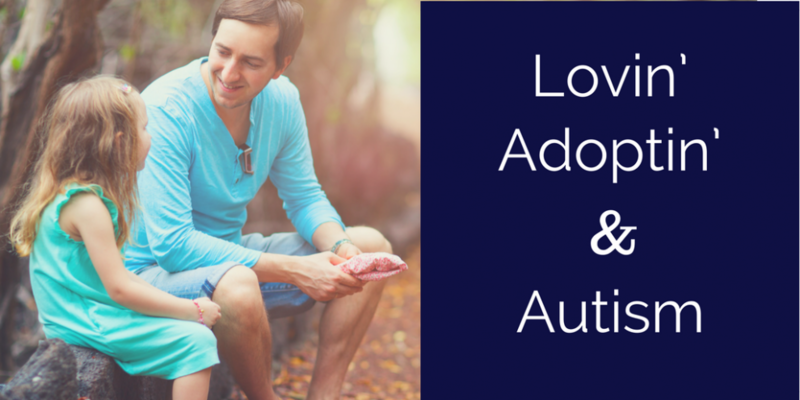 Take a look at the CONTENTS page for more posts on autism, adoption, and foster care. You can receive each post made to Lovin’ Adoptin’ by subscribing in the upper right corner. If you’re on a mobile device, you can do this on the web version. 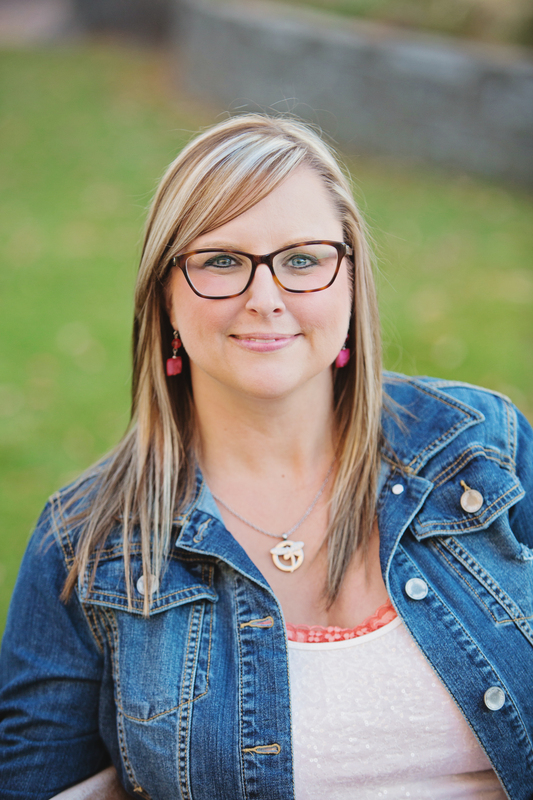 You can also “like” my Facebook page and follow me on Twitter and Pinterest for more helpful information and links.